If you are looking to display a product or your treasured item you can’t go past the versatility of acrylic. 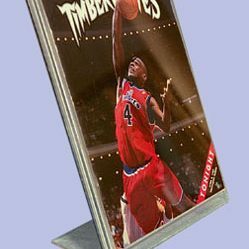 Acrylic is so popular because of its optical grade clarity and its superior strength compared to standard glass yet still a very cost effective way to display your item. 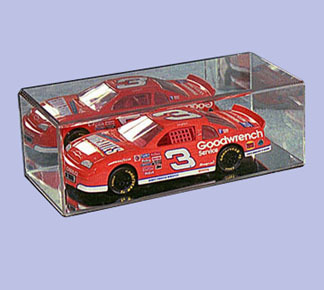 All cases are hand made with beveled edges and hinged or lift off covers. 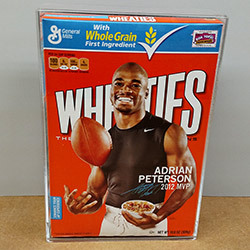 For Wheaties Box Collectors, we have over 200 different boxes available for sale. 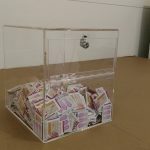 Just e-mail us for details or to inquire about a particular Wheaties Box. 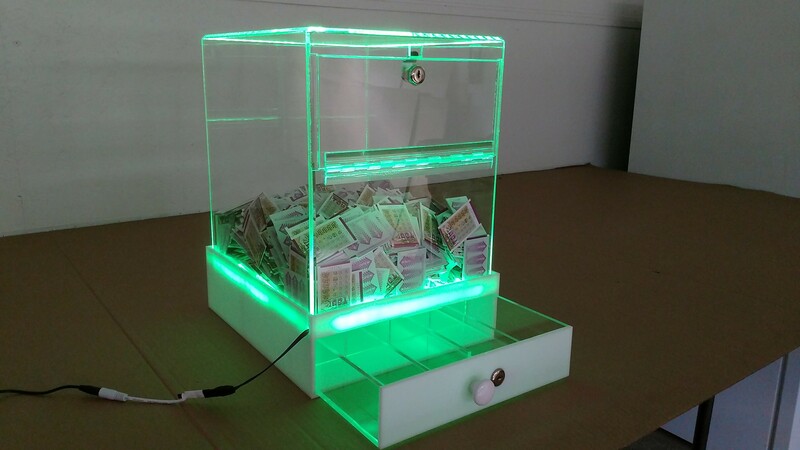 with LED lighted stacker base. 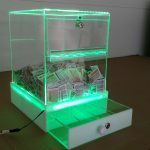 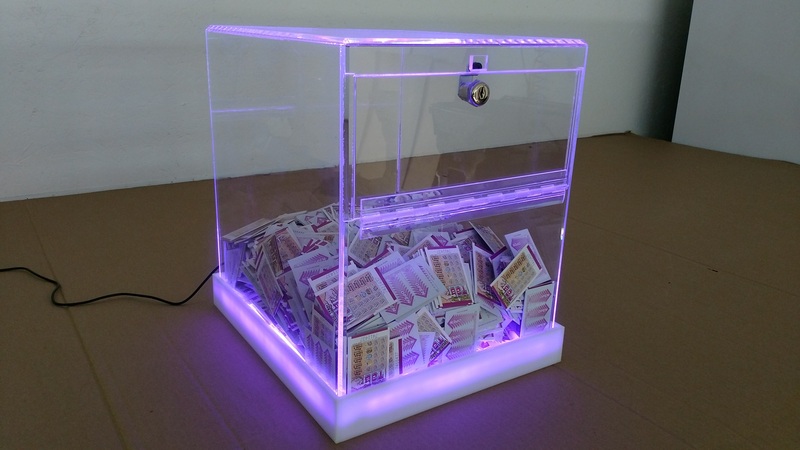 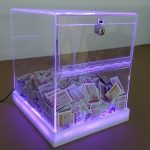 This is a ¼” Thick Pulltab bin with LED lighted cash drawer. 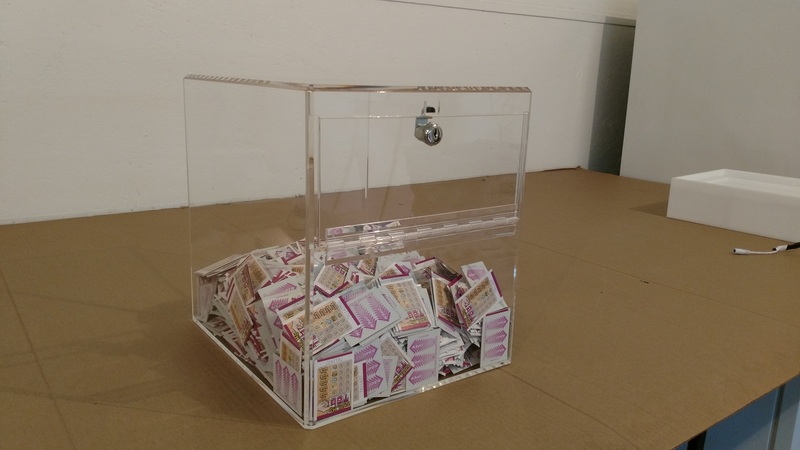 This is a ¼” Thick Pulltab bin.